Pepe and Paco Blanco founded Callejuela in 1998, in Sanlucar de Barramada, Cadiz. Is not until 2005 that their bottled first Manzanilla with Callejuela brand. The two brothers are the third generations of Mayetos- winegrower that owned the vineyards and a small winery – and Almacenistas – stores the wine and selling in bulk to the large bodegas -. 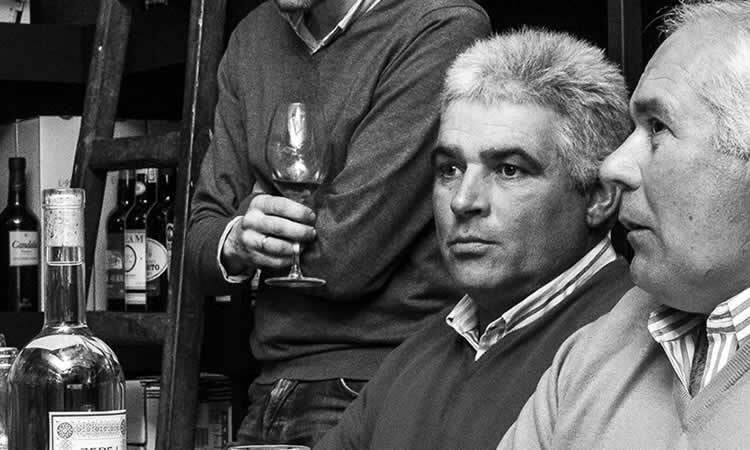 Is Francisco Blanco, their father, the one who started the business with a small winery in 1980 and developed a solera, he bought 5 hect. Nowadays they have in total of 28 hectares, between Jerez (Pago Macharnudo 4.5 hect vineyard Viña de la Choza & Pago Añina 8.5 hect vineyard Las Mercedes) and Sanlucar 16 hect (Pago Hornillo, vineyard La Callejuela). Main soil is the Albariza and main grape Palomino, they recently planted some Pedro Ximenez vines to produced their sweet PX. Their have been through many steps to launched their own sherrys, but always very important for them to focus and working hard in the vineyards. In 1997 is when they moved to the actual winery. Nowadays they manage 700 butts with a modest solera, and producing different types of sherry; Manzanilla Fina, en Rama, Pasada, Añada, Amontillado, Oloroso and PX. They also produce three still wines made of Palomino grape under the flor in barrel, a selection of the Palomino grape in the three different Pagos. The wines express the differences between the Pagos in Jerez and Sanlucar – climate and soil -. In the vinification, spontaneous fermentation with indigenous yeast in 500L barrel and then left for 6 months under the flor. Production of 1800 bottles for each wine.